Pastor Jim Borchert has served in the pastoral ministry continuously since 1968. He holds his ordination as a Minister of the Gospel through World Ministry Fellowship. “Pastor Jim” is a well-known pastor and teacher in the Dallas/Fort Worth area, having held numerous teaching seminars and retreats over the years. He taught at the Brite Divinity School at Texas Christian University in Fort Worth. He has traveled and ministered throughout sub-Sahara Africa, including the Democratic Republic of Congo, Zimbabwe, Mozambique, Zambia, South Africa, Nigeria, Burundi and Uganda since 1984 in an apostolic capacity, training local pastors and teachers. He has also preached and taught in Moldova, India, Ukraine and Israel. He has given his testimony on the 700 Club and appeared on TBN, sharing the work of Hope for Africa. He and his beloved wife, Peggy, have been married for 49 years and have four grown children and nine grandchildren. Pastor Jim’s insights, through study and prayer, in the areas of theology, discipleship, church government, law, property, trust and other fields are welcomed by both the layman and the scholar. His personal library of over 20,000 volumes is a testimony of his dedication to the study of the Word of God and understanding the wisdom of this world. The heart of Pastor Jim’s ministry is discipleship by the revelation of the Holy Spirit, speaking the truth in love, so that the church may mature in Him, who is the head, even Christ. Pastor David Halvorson holds his ordination as a Minister of the Gospel through Grace Fellowship, Tulsa, OK, with recognition by World Ministry Fellowship. 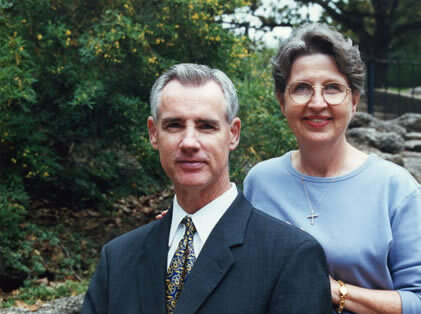 He graduated from Rhema Bible Training Center in Broken Arrow, OK, and has worked with Pastor Jim since 1981. 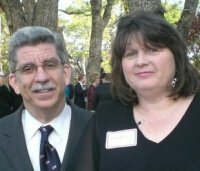 He serves as the Northwest Texas State Director for World Ministry Fellowship. Pastor David has oversight of the day-to-day details of the two churches, and of the house churches in both Dallas and Fort Worth. He also shares in preaching, teaching, healing, deliverance and other ministerial duties. He has traveled and preached in South Africa, Mozambique, Uganda and Israel. He and his wife, Janet, have been married 33 years and have two grown sons and two teenaged daughters.